A few days ago, Hope For Paws was able to save a kitten who was stuck inside a chimney – for 3 days! Everyone was thankful that the young feline was able to survive almost 72 hours without getting any food and water. 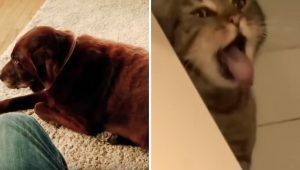 It all started when a couple named Jose and Joselyn Pascual heard soft tiny meows inside their house, but they couldn’t figure out where it was coming from. After searching around, they finally realised that it was coming from inside the chimney! 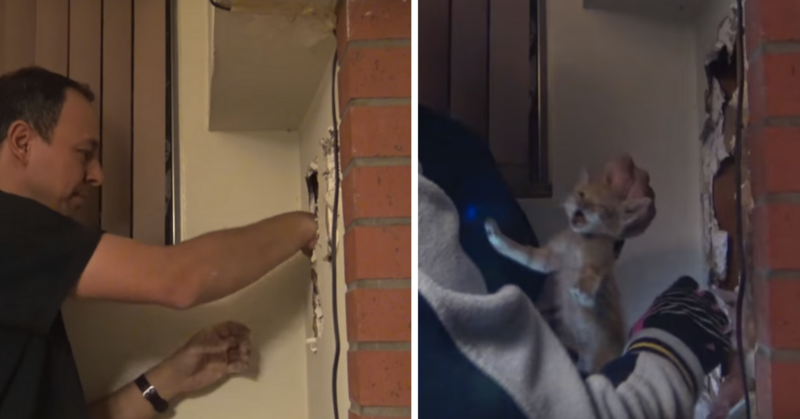 They tried their best to rescue the poor kitty but after 3 days, their efforts still didn’t work. 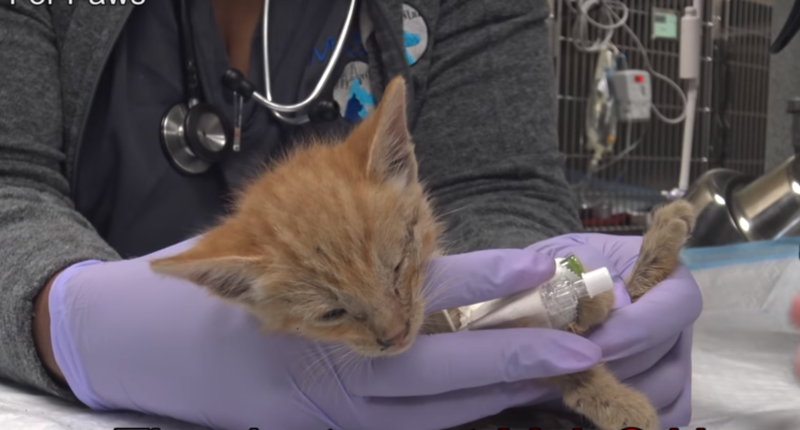 Even the animal control tried to save the kitten but they seemed to have a hard time finding the kitten inside the chimney, so the couple’s niece decided to ask help from Hope for Paws. 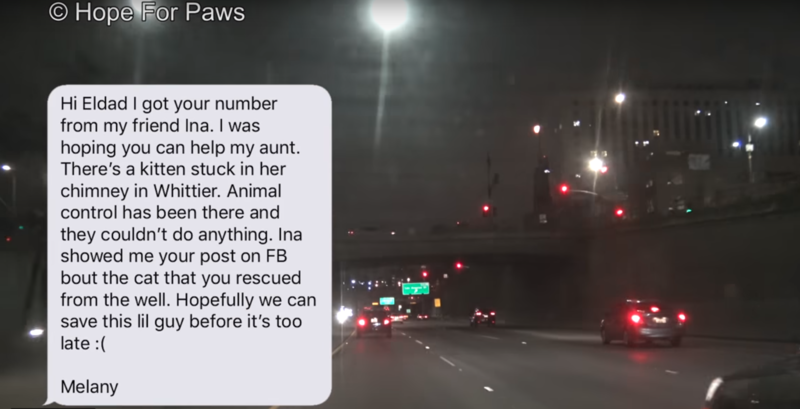 When the team received a text message on the Hope For Paws emergency line, they immediately drove to the location, even though it was already the middle of the night. Upon reaching the Pascual residence, Loreta Frankonyte and Eldad Hagar quickly started the rescue operation. Hagar climbed up the roof to check on the chimney and see if he would see the kitten from there. But even with the help of a small camera inserted into the chimney, he still failed to find the kitten. 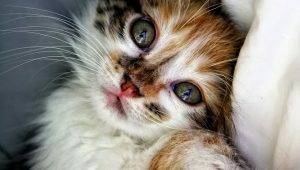 Everyone was getting worried as the kitten’s meows were slowly fading, indicating that they might not get him out alive. But the team was determined and the couple was also very cooperative during the operation. When the kitten completely stopped meowing, Frankonyte and Hagar finally decided to break the wall before time runs out. Without a doubt, the owners of the house agreed with the decision as it might be their last option. Hagar drilled some holes on the drywall and tore it apart until he was able to peek inside. At around past 2 in the morning, he successfully found the kitten. At first, he thought the kitten wasn’t breathing anymore, but they were relieved when he started meowing again. The rescuers gave the kitten some sugar water to raise his glucose level and rushed to the hospital, keeping him close to the car heater. On their way to the vet, they decided to name the kitten “Cricket”. Hospital doctors were determined to fight for Cricket’s life and they didn’t stop until he was finally stable. Day 2 at the hospital. You’re doing great Cricket! The kitten spent several days at the hospital until he was completely healthy. During his recovery, Melany Gomez, the Pascual couple’s niece who sought help from Hope for Paws, came to visit the rescued kitten. Once she and her husband saw Cricket, they fell in love with him. Aside from Cricket, they also saw Napoleon, another rescue kitten, who was saved from the freeway by Hope for Paws. The couple couldn’t resist the two cute kittens so they asked if they could adopt both! The Gomez couple named the two adopted kittens Ten and Smokey – who got along quickly. 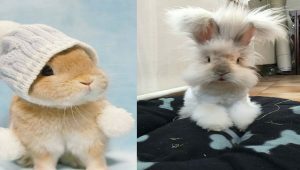 They both went through near-death situations, but now they’re completely safe and loved by their owners. 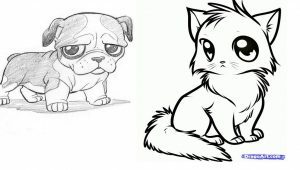 The two adorable kittens are even on Instagram! 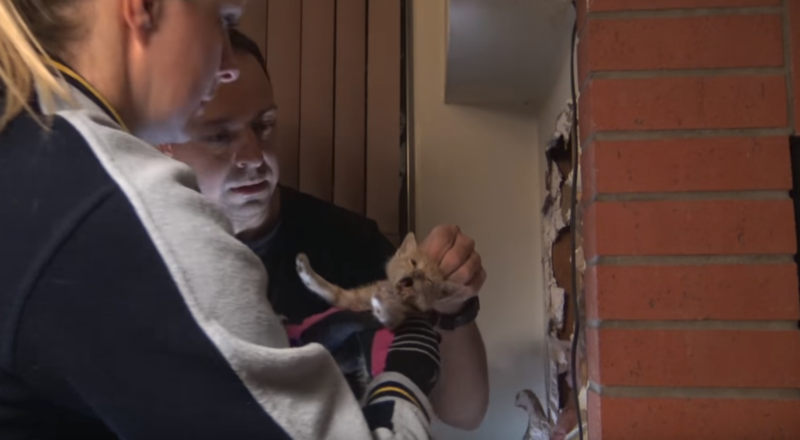 No one could figure out how the little kitten survived being trapped inside the chimney for 3 days. He had no food and water but still managed to get out alive. That’s why everyone thinks Cricket’s survival is a miracle!